Book launch special: Save 20% off cover price until Feb 18, 2019. TPI members – get an EXTRA 20% off with your member discount. Resistant. Oppositional. Borderline. Mental health professionals commonly use such terms to describe patients who, despite expressing a strong desire to reduce their emotional distress, repeatedly reject or ignore their therapist’s interpretations and advice. When this continues session after session, both patient and therapist end up feeling stuck and frustrated. This book offers an alternative interpretation of patients’ apparent resistance, termed pathological ambivalence, which is rooted in early experience, biological functioning, and psychological narrative. 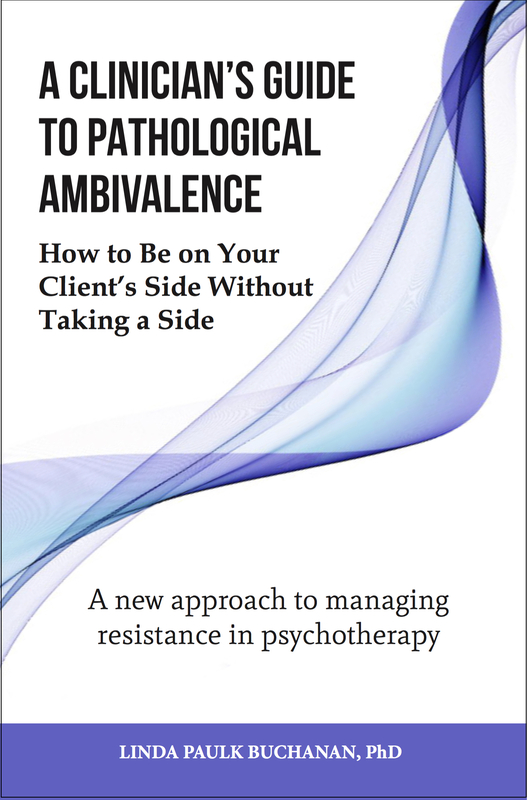 The concept of pathological ambivalence draws from several established theoretical perspectives in explaining why some people seem to sabotage their progress in psychotherapy and how some therapists become unintentional enablers. Using composite case studies based on 30 years of experience, Dr. Buchanan guides the reader through the development and manifestations of pathological ambivalence. She then provides specific strategies – along with worksheets – for rapidly harnessing and resolving patients’ ambivalence in a compassionate and effective manner. 1. What Is So Difficult About Change? I’ve been conducting therapy for more than 30 years. When I encountered resistance early in my career, I would feel frustrated and eager to get past the resistance so that we could get on with the real therapy. Thanks, however, to the specific experiences I had in my training and career, I discovered that lack of change often occurs when different parts in a system (whether internal or interpersonal) have differing wishes or needs that are not being integrated. All people have parts, and different parts of the same person can have different needs or wishes, such as needing companionship but fearing rejection. When resistance is encountered in psychotherapy, it is usually because either the client or therapist (or both) doesn’t realize that the resistance is actually caused by ambivalence. Thus, when a therapist takes a side (presumably the part that wants to change in a healthy direction), the client is likely to voice the other side, resulting in what looks like resistance. Therefore, the therapist must learn how to be on the client’s side without taking a side. Although ambivalence is a normal human experience, it is considered to be pathological when it interferes with the client’s ability to have a reasonably satisfying life and progress in therapy. If the patient weren’t resistant or ambivalent, he probably wouldn’t need you; one of many self-help books would do the trick. Most people naturally feel some resistance to change. Resistance shows us where the pain is. Resistance may be indicative of the interpersonal developmental level of the patient. Resistance exists in part on a physiological level due to neurological development. The very thing that brings clients to therapy is the thing that they are most afraid to change. Resistance may be a reaction to a therapist who is trying too hard to help. When a therapist forgets that dealing with resistance is actually the meat of the therapy, he or she is probably operating from the assumption that the patient is being resistant without good reason, and thus being irrational. Or, as the therapist, we often personalize the resistance by feeling that the patient is doing something to us, such as vying for power, trying to frustrate us, or rejecting us. These feelings can lead to countertransference issues, such as becoming frustrated, working too hard to win over the patient, or even rejecting the patient. If we recognize that we all feel resistant or ambivalent when it comes to change, we are more empowered to understand our clients’ ambivalence. Ambivalence to change occurs because whatever needs to change developed naturally at some point. Although ambivalence is normal, many people will realize why they’re ambivalent and move on, resolving their internal conflicts. Procrastination is a common example of how we all go through this process at times. For example, suppose “Jane” is procrastinating on scheduling a routine medical appointment. On the one hand, she wants to take care of her health; on the other hand, a few of her friends have recently had scary diagnoses. If she pauses to explore the source of her procrastination, she may discover her ambivalence, weigh the pros and cons (teasing apart her ambivalence), and decide to make the appointment (resolving the resistance through choice). Recognizing that she is ambivalent, Jane reassures herself that she only needs to take one step at a time and will have the support she needs if she should get bad news (reintegrating the ambivalence with new thoughts). Ambivalence normal, and much of one’s ambivalence toward change can be attributed to various aspects of brain functioning. Every time we repeat a thought, feeling, or behavior, the neuropathway of that experience is strengthened. As described in Mindsight, the seminal book by Daniel Siegel (2011), our brain naturally functions to develop associations as a way of learning and saving energy: “What wires together fires together” (Siegel, 2011, p. 40). For instance, when you get into your car, you can start driving with no thought about where the key goes and how to move out of park into drive. Your brain has taken several distinct experiences and formed a continuous and smooth habit that is mostly unconscious. But try getting into someone else’s car for the first time, and it is awkward. Thus, change can be like trying to write with your nondominant hand: awkward and inefficient at first, but it can improve with practice. Due to many factors I describe later in the book, there are numerous forces within us that work against change. Most learned associations are adaptive at the time in which they were formed, but what brings people to therapy is when the associations are no longer adaptive to their current circumstances or if their interpretations were made at a time when the person was too young to evaluate or interpret their associations or assumptions accurately. For example, a child might associate sickness with love if she received more attention and love when she was sick. This could lead to a chronic and possibly subconscious pattern of needing to be sick to believe that people care about her. As Dr. Victor Frankl (1946/2006), a Dachau concentration camp survivor, famously wrote in his book Man’s Search for Meaning, “An abnormal reaction to an abnormal situation is normal behavior” (p. 32). Another factor related to the difficulty to change is that under intense arousal, the associations are greatly strengthened. Such learning is imprinted immediately into the nervous system and thus doesn’t require the repetition needed for most learning (e.g., times tables). The idea that emotional arousal influences memory is nothing new; in 1620, Francis Bacon (1620/2000) wrote about memory as being assisted by passion in that lasting impressions were influenced by the level of emotion associated with them. For instance, in the case of a trauma, the experience is so intense and the imprinting so efficient that something minimally or tangentially related to the trauma, such as an odor, can trigger the brain to fire in such a way that one reexperiences the entire event as if it were happening in the current moment (Cahill & Alkire, 2003; Liu, Graham, & Zorawski, 2008; McGaugh, 2015; Michael, Ehlers, & Halligan, 2005). Furthermore, studies have shown that learning is more efficient when paired with negative emotion (Rozin & Royzman, 2001). This may have survival value. For example, suppose you live in the wild, and one day you are chased by a bear near a running stream. Your brain quickly and efficiently records all aspects of the dangerous situation, so that at first sign of a similar danger, you will be able to flee without having to consciously think about it. However, that experience can be overgeneralized, such that if you hear running water from a stream that has no bears living nearby, you may become very anxious and eventually have trouble leaving your hut, for fear of meeting a bear—unless you intentionally reevaluate your memory to determine if every stream should be feared and avoided. Another brain factor that affects resistance is the neural connectivity between parts of the brain. The connections between emotional regions of the brain to the areas responsible for planning may not have sufficient connectivity, so that when the person is processing emotional stimuli, it might be harder to think about how best to act on the emotion (Banks, Kamryn, Angstadt, Pradeep, & Phan, 2007). Under these conditions, it can be challenging to monitor one’s thoughts, senses, emotions, and actions, resulting in impulsivity or a diminished ability to shift mental states (Siegel, 2011). Additionally, when a person is experiencing a certain level of arousal, the prefrontal lobes go off-line, and the brain relies more on instinct and limbic functioning, focusing only on how to attend to a real or imagined extreme threat. There is no time to be mindful, observing and describing what is happening, followed by choosing an effective way to participate in the moment. The person either runs or fights or freezes. People who have experienced periods of high or chronic stress during childhood may have overused this part of their brain and may habitually return to fight, flight, or freeze, even when the stress is less extreme. Similarly, people who are highly sensitive (see Chapter 2 for a thorough discussion) in general overuse this part of the brain and therefore have greater difficulty using their prefrontal lobes to manage the stress. The good news is that even if a person’s brain has less connectivity, this condition can be improved by forming new neural pathways between these areas through mindful awareness. In summary, we see that ambivalence can be normal and adaptive, or a result of dysfunction. Once the brain has learned something, it is difficult to unlearn. This can result in resistance to change, experienced as ambivalence. It’s a normal human condition. Just consider all the phrases we have for ambivalence: Of two minds, I’m torn, it’s a dilemma, the jury’s still out, waffling, it’s debatable, vacillating, wavering, having a foot in both camps, hem and haw, it’s a quandary, sitting on the fence, in limbo, wishy-washy. I love the scenes from Fiddler on the Roof where Tevye expresses his ambivalence while talking with God by saying “on the one hand … but on the other hand ….” In one famous scene, he says it about six times (of course we don’t have that many hands). In frustration at one point he yells, “No! There is no other hand!” This endearing character demonstrates the humanness of ambivalence as well as ways to work through it. Sometimes and for some people, however, this is very difficult to do. Although we all experience ambivalence, it can become pathological in nature. As a student first being introduced to theoretical perspectives, I became fascinated by what I perceived were common threads among seemingly opposite theories regarding the nature of human personality and the nature of behavior change. I became interested in the subject of resistance and looked closely at the ways in which the early and more recent theorists defined resistance. Two primary themes emerged. In what is referred to as the multiplicity of human personality, we all have parts. This explains how a person can want or need opposing things at the same time and therefore experience ambivalence. Furthermore, awareness of these parts and the level of integration we experience among them is affected by both the amount of stress we have endured as well as how reactive we are physiologically to stress. Thus we are affected by both learning and genetics in our susceptibility to developing pathological ambivalence. In formulating my theory of pathological ambivalence, I was inspired by two sets of experiences that shaped my understanding of parts and systems. First, in my studies of family therapy in my doctoral program, I learned that family systems have parts with differing wants or needs. Those families that function well comprise many distinct parts working together as an integrated whole. On the other hand, dysfunctional families have splits, triangles, coalitions, and unhealthy hierarchies, which can undermine the healthy functioning of each part. My background in helping families resolve their differences informed my understanding of working with resistant or challenging clients. It became clear to me that taking a side was almost never the way to facilitate change with couples or families or even in individual therapy. Second, during the process of working with several clients who were diagnosed with multiple personality disorder (now referred to as dissociative identity disorder, or DID), I noticed that they improved more rapidly by focusing on integrating parts through what is known as the host personality. When the therapy was too heavily focused on the various parts of the system, the client often became worse or more disintegrated. But multiplicity is not limited to people with DID. We all have parts—a child part, a wise adult part, a professional part, for example, all of which can be quite distinct from each other and have differing wants or needs. When you say to yourself, “I want to be fit, but I don’t want to exercise,” you are expresses differing needs from different parts of yourself. Another main concept that has been incorporated into my theory of pathological ambivalences is that we all create schemas and narratives that guide us through life. These schemas may contain varying degrees of objective reality, which are then projected onto current situations. I was heavily influenced in my understanding of human behavior by Alfred Adler’s 1964, 1928/2014) concepts—specifically that of the “Story of My Life.” I even conducted research on the construct of early recollections as a treatment strategy to understand the themes that are prevalent in a client’s story. We’ve established that everyone is ambivalent about change to some extent, but not everyone develops pathological ambivalence. The American Heritage Dictionary (2011a, 2011b) defines ambivalence as (1) the co-existence of opposing attitudes or feelings, such as love and hate, toward a person, object, or idea and (2) the uncertainty as to which course to follow. Pathology is defined as (1) the scientific study of the nature of disease and its causes, processes, development and consequences and (2) departure or deviation from a normal, or efficient condition. No one will care for my needs, but I secretly, maybe even unconsciously, crave the experience of being taken care of. Therefore, I need to act in a way that will get you to take care of me. However, I can’t believe that you will care for my needs regardless of what you do, so I need to act in a way that shows that I don’t care or need you. Sounds confusing, right? It is, and it’s a life-crippling dilemma. Chapter 1: What Is So Difficult About Change? Appendix C: The Shame–Humility–Guilt–Regret Continuum. Dr. Linda Buchanan developed her concept of pathological ambivalence while working for more than 30 years with people suffering with eating disorders, a client population in whom ambivalence is not only common but is also potentially fatal if it continues. In 1993, she founded the Atlanta Center for Eating Disorders (ACE), which grew to three locations before she sold the practice to Walden Behavioral Care in 2017. She is now Senior Director of Clinical Services with Walden. Dr. Buchanan received her PhD from Georgia State University. 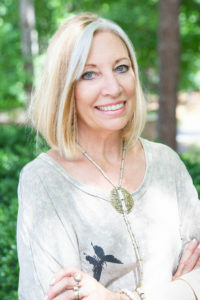 She received a master’s degree from Georgia State University, and a diploma from the Psychological Studies Institute in Christian Counseling, which presented her with the Distinguished Alumnus Award for her work in founding ACE. She is a nationally recognized speaker on the topic of resistance and has published three chapters and several research articles on the treatment of eating disorders. She has been married for more than 30 years and is the mother of two adopted sons.